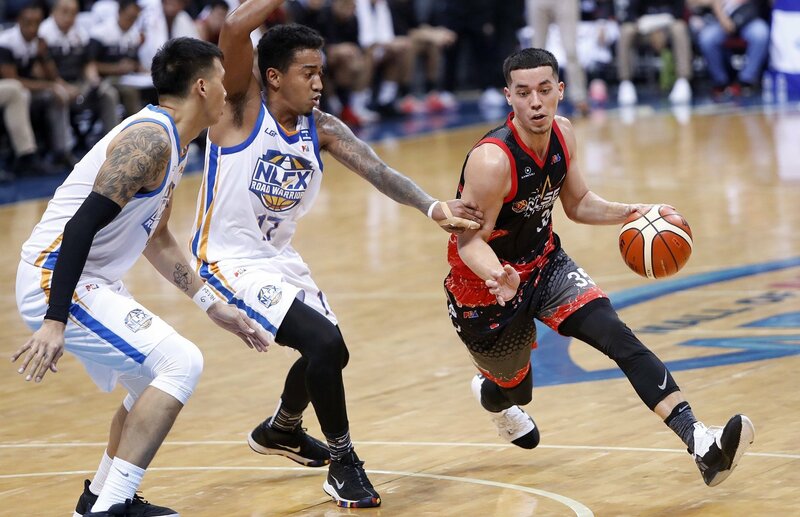 The Phoenix Fuel Masters survived an inspired NLEX Road Warriors team with an 83-82 win. The Fuel Masters continue their unbeaten run this season with their fifth straight win. The Road Warriors fall to 2-4. Phoenix needed a game-saving defensive play from Calvin Abueva to preserve the win. After falling behind by three points midway through the final period, Matthew Wright led the comeback. He sparked the run with a big three-pointer to tie the game and capped it off with a fadeaway jumper to increase the lead to six. The Road Warriors refused to let Phoenix run away with the game. Bong Galanza and Philip Paniamogan answered back with a 5-0 run to cut the deficit down to just one point with under a minute left in the game. Abueva and Jason Perkins missed potential daggers keeping the door open for NLEX to steal the win. With 2.3 seconds left in the game, NLEX tried to run the game-winning play. Bong Galanza slipped out from screens set on the left side of the floor and curled out to the right wing. JR Quiñahan found him wide open and lobbed the inbound pass his way. Abueva and Alex Mallari recovered and tried to challenge the shot. Abueva was able to jump up and get a hand on the shot as it left Galanza’s hands. The ball dropped harmlessly to the floor and Phoenix was able to run out the clock and the win. Matthew Wright continues his all-around performance with 17 points, five rebounds and six assists. Abueva had a double-double with 13 points, 11 rebounds and two blocks. Perkins added a 14-points and 11-rebound double-double as well. Quiñahan led NLEX with 14 points. JP Erram finished with 11 points and 15 rebounds. In the second game, the Rain or Shine Elasto Painters shut down the NorthPort Batang Pier in the fourth period to get their fifth win in six games. They came back from a 10-point third quarter deficit to win 107-100. 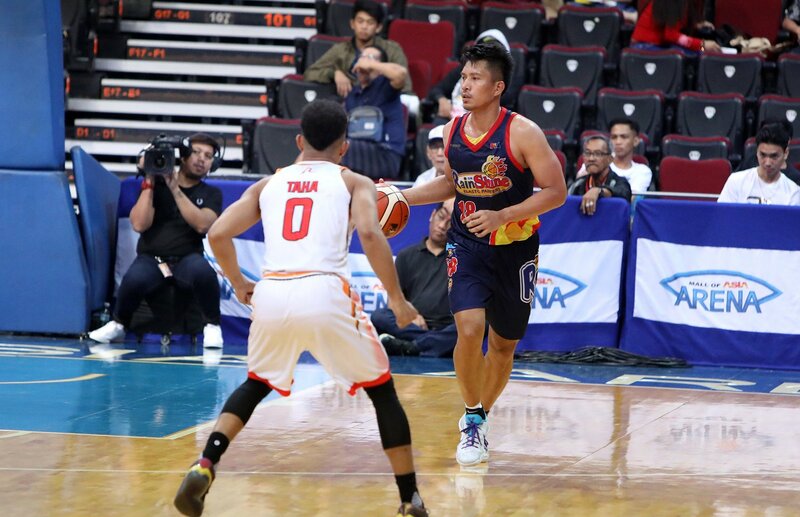 James Yap continues his renaissance season with 19 points, six three-pointers and five assists. Beau Belga also had 19 points. He added seven assists to his output. Norbert Torres backed them up with 16 points off the bench. Stanley Pringle erupted for 34 points to lead the Batang Pier. The Batang Pier progressively took over the game in the first three periods. Behind Pringle’s leadership, they built a three-point lead after one, a six-point lead after two and finally a 10-point lead heading into the final period. That was when Rain or Shine’s defense kicked in. After allowing 89 points in the first three periods, the limited NorthPort to just 11 points in the final quarter. Pringle was limited to just three points in the final period with the Elasto Painters shutting down the Batang Pier offense. Robert Bolick, Bradwyn Guinto and Mo Tautuaa opened the fourth quarter with hits to keep their lead up to safe nine points. But Rain or Shine countered with an 11-0 blast led by Rey Nambatac. He scored four points to power the run. Ahanmisi’s three-pointer to cap the blast, gave the Elasto Painters a two-point lead. Sean Anthony and Pringle scored five straight points to give NorthPort the lead back. But that would be the team’s final buckets of the game. Rain or Shine went on a 10-0 run in the final minutes of the contest. Yap sparked the run with a step-back three-pointer to retake the lead. Mark Borboran scored on a layup in the final seconds to seal the win.